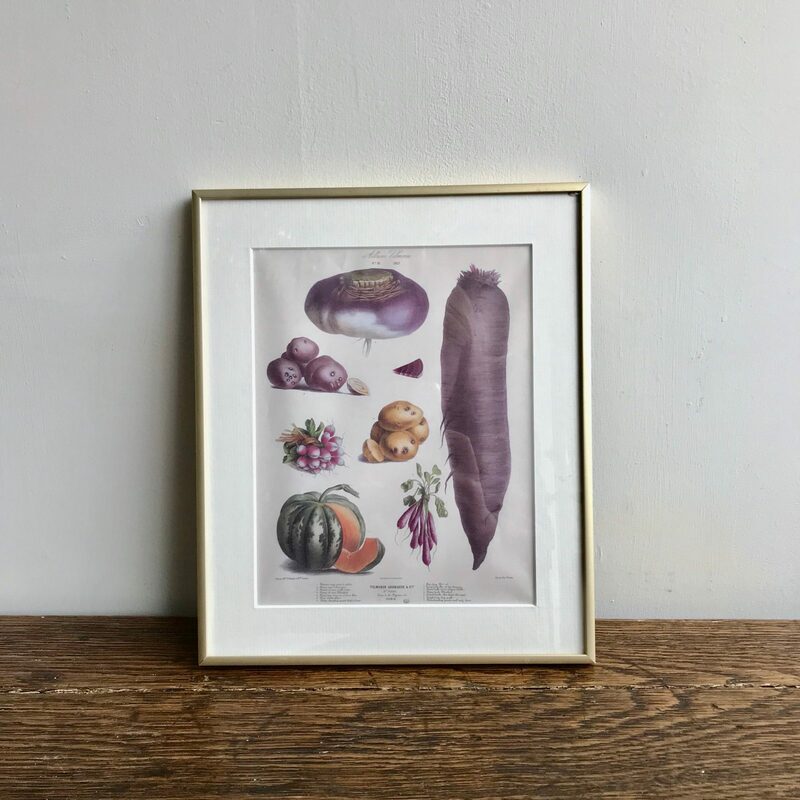 A single framed illustration of 19th century French garden vegetables from Vilmorin’s The Vegetable Garden catalogue. Slight chip in glass. Top right hand corner. Please see photos.